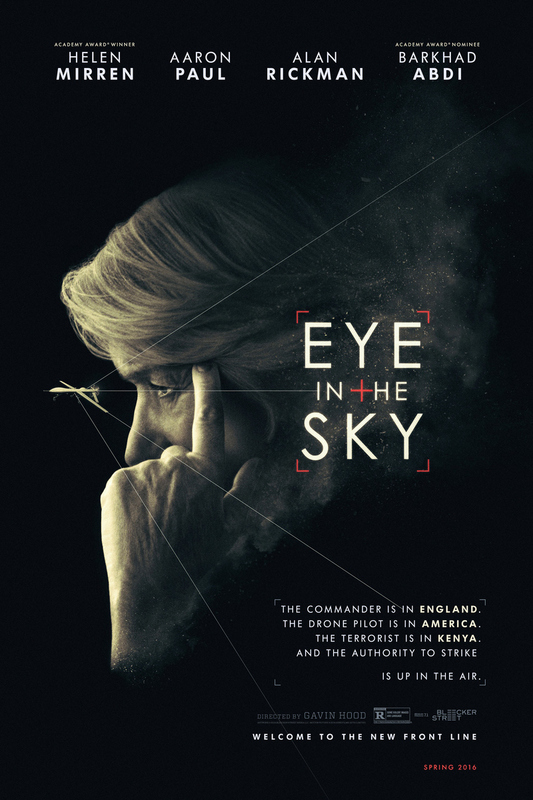 Eye in the Sky DVD and Blu-ray release date was set for June 28, 2016 and available on Digital HD from Amazon Video and iTunes on June 14, 2016. Colonel Katherine Powell is in command of a mission that is attempting to capture a militant Islamist group of extremists. When she discovers that the group they are monitoring is about to set off a suicide bombing attack, Colonel Powell changes the mission's objective to killing the terrorists, instead of capturing them. However, her commanding officers refuse to give authorization to a drone attack, because a teenage girl could be harmed. Complications arise as she struggles to prevent the suicide bombing while still saving the girl. Ultimately, Colonel Powell must decide if stopping terrorists is worth hurting an innocent person.